Tradition Golf Club. Golf Tradition La Quinta. Tradition golf course information and details about Tradition Golf Club in La Quinta, California. 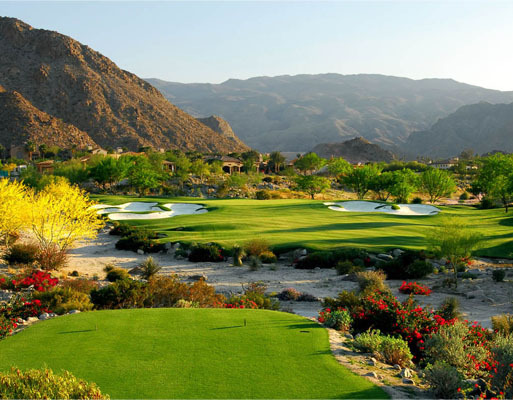 Tradition Golf Course in La Quinta features the lands natural beauty. From its panoramic mountain views to its flowing fairways and billiard table greens, Tradition Golf Club is stunning. It includes a private 18-hole championship golf course, a 9-hole short course, and a practice facility. Tradition Golf courses mean luxury. The club is paired with designer residences featuring Spanish Revival, Early California and Mediterranean architecture. Above all, the members make a club what it is. Within the context of this remarkable setting, the members are a dynamic, inviting group of families and friends.